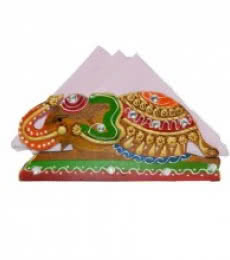 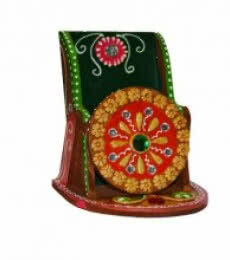 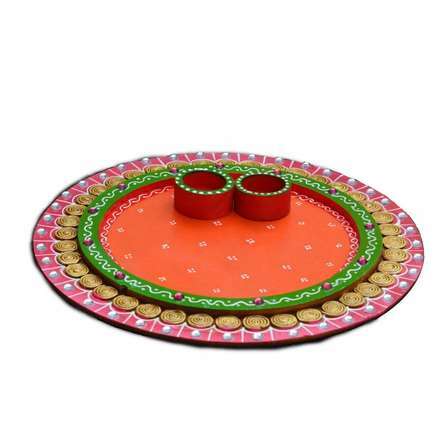 This majestic papier-mache pink orange Pooja Thali is complemented with a roli-tikka container. 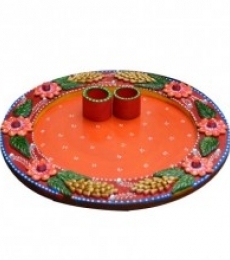 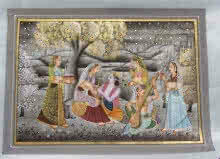 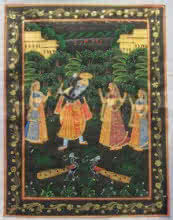 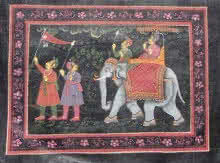 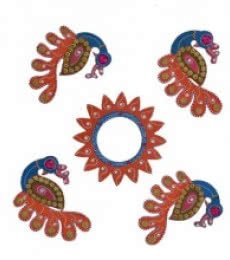 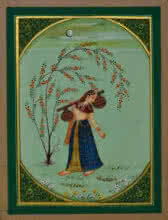 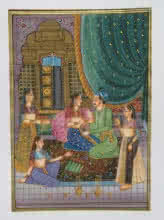 The embellished pink border adds to its grace whereas a orange color in the center makes it auspicious. 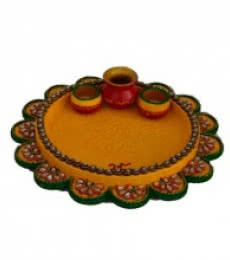 For its incredible appeal, it serves as an ideal gift for your loved ones, family and friends.